Welcome to Five Star Bus Lines! Welcome to the Five Star Bus Lines Ltd. website. We are glad you have chosen to visit our site. We trust you will keep us in mind for all your group transportation needs. 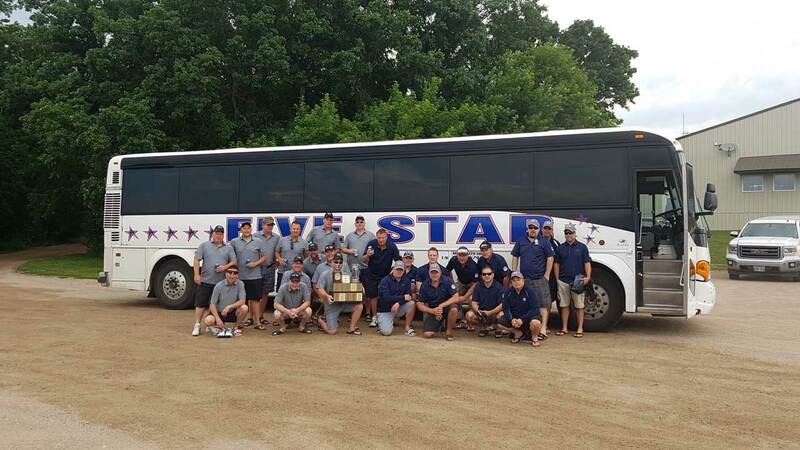 Five Star Bus Lines Ltd. is a locally owned and operated charter motor coach business, located in Winnipeg, Manitoba. In a globalized world it is our goal to enhance peoples mobility. 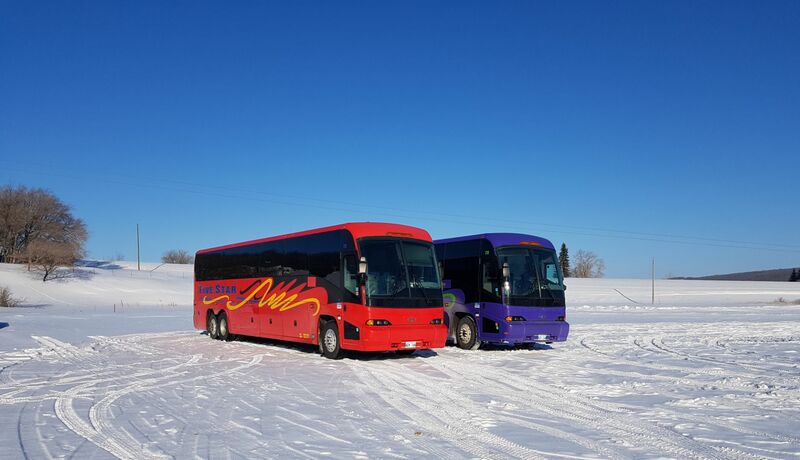 We achieve our goal by providing a full range of buses and vans that serve the passenger’s needs, whether they travel cross country, between provinces, or within the city. We are your partner. We seek long lasting relationships with our customers and their passengers, and with other local, provincial and national partners. Meeting your transportation needs is the reason Five Star Bus Lines exists! We are committed to fulfilling the needs, wants and expectations of our clients by providing the most beneficial transportation solutions. Our entire team at Five Star is dedicated to providing you with the best possible value to meet your needs. Your transportation needs will be met by our commitment to your satisfaction as we provide the highest quality service. "I would rate your service 10 out of 10!" "Just want to say how great Sean was throughout the day. Very patient and accommodating. He went above and beyond for us. He communicated with us well and he was very professional!" "I just wanted to take some time this morning to say a huge THANK YOU for the wonderful service which we received this past weekend. Our bus driver Robert, was amazing. Our trip two and from Saskatchewan added to a wonderful weekend for 36 of our youth from The Salvation Army." Once again "Thank-You"
"Just wanted to let you and Winston know that we all enjoyed our trip to South Beach. The driver (Garry) was excellent. We were very pleased that the Casino was very organized with our group. Thank so much for being able to step in and help me out when the other person cancelled on us. Our group will definitely book you again. They can't wait to go again." "We would like to take the time to thank you for your help in the Cultural Awareness Field Trip that was a success. With your help we were able to transport the youth and adults from Berens River First Nation to Winnipeg, Manitoba. 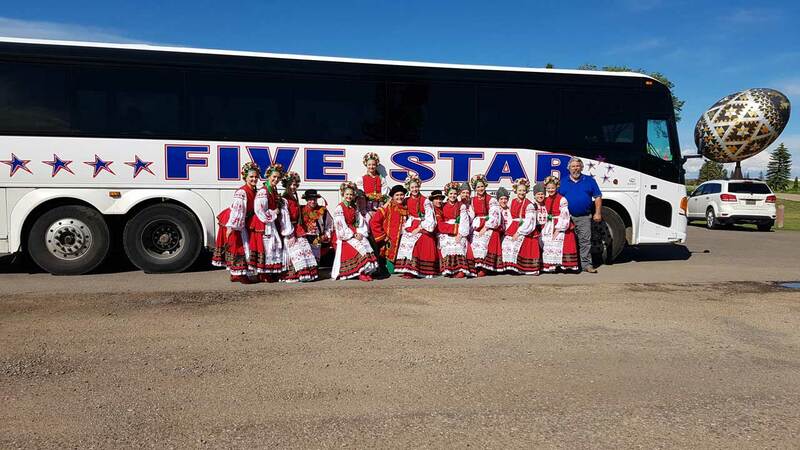 We would also like to thank the driver of Five Star Bus Lines for driving out to Berens River First Nation and back as it is a long journey to get here. He is a phenomenal worker to have at such a place and was also funny and kind to the children when being asked questions. A memory I am sure the group of the Cultural Awareness Field Trip and himself won’t forget is when we saw a moose while on our way to Winnipeg. He told us it was his first time seeing such a creature in his whole life and we’re glad he got to experience the nature and wildlife of Manitoba. We deeply appreciate your help in the success of the Cultural Awareness Field Trip. We also value your business with us and the satisfying customer satisfaction." "We chose to turn around and return back to Winnipeg early (arriving back Saturday, April 13 from Fargo). While the trip didn’t turn out as we hoped, I wanted to let you know how amazing Kevin was as our driver. He was calm, encouraging, and really became part of our team. Above all, he made us feel safe in our travels through snowmageddon! His open and honest approach in discussing options with us for travel was greatly appreciated. His enthusiasm about our team was also appreciated. The kids, parents, and staff on the trip are grateful for his skill behind the wheel, his wit, and his encouragement along the way. Thank you for all your help in trying to get us to our destination." 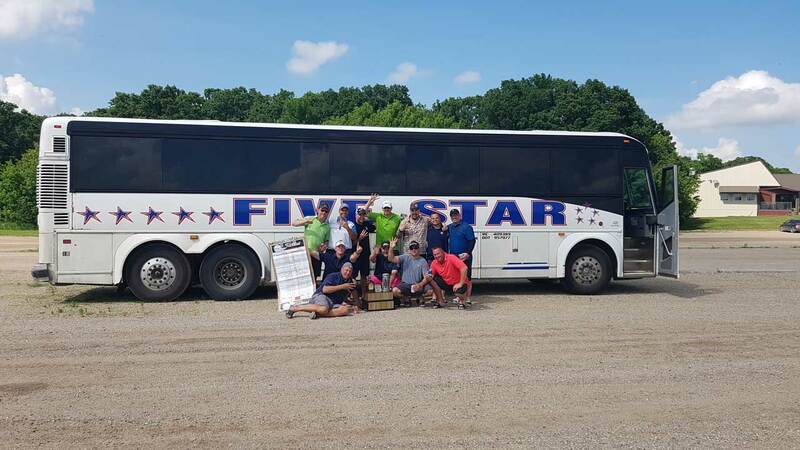 Wherever you need to go…whenever you need to travel…no matter how big your group…take the mystery out of group travel when you charter a bus from Five Star Bus Lines. Let us show you how travel was meant to be. Since October 2000, Five Star has been connecting people and places in style, safety and dependability. 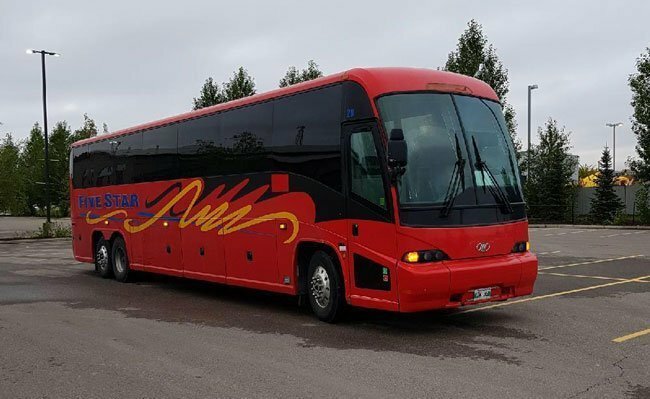 Our motor coach buses have all the amenities – including wi-fi, roomy plush seats, well-stocked restrooms and DVD players to enhance your entertainment pleasure and make your journey the ultimate in comfort. Our courteous, dependable drivers know the roads because our driving team has covered millions of miles, while maintaining the highest level of safety for passengers. We do all this while making YOU, our customer, our number one priority!